Boluwatife Balogun, first son to a popular Afro-pop singer, Wizkid says he is set to style Davido, Olamide, YCee among other top artists in Nigeria and beyond. 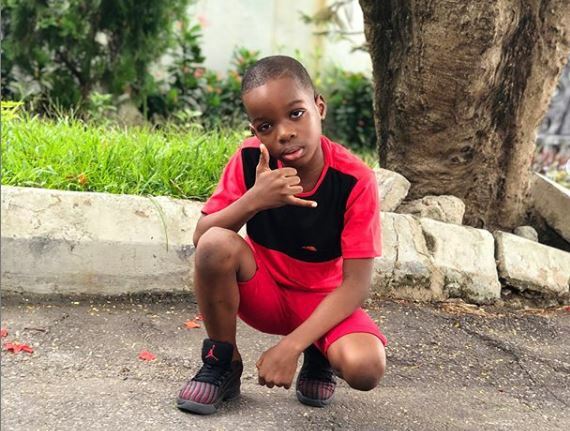 The seven-year-old Boluwatife who just launched a clothing line, Czar & Czarina listed his dad among the prominent artists he would love to style some day. In an interview with an online news platform, Boluwatife said; “I would like to style Wizkid definitely, Davido, Olamide and YCee. Those are my favourites in Nigeria. I like those artists because they sing for a living. They don’t put too much stress in what they do,” the young entrepreneur said.